On December 4, 2012, someone signing as Anonymous raised a question in a post comment in this blog, Three main protocols of TMAU Diet, that may very well be expressing a common concern in many sufferer's minds when faced with making a decision of where to test for TMAU. It made me think of how difficult it is to decide on which way to turn to find a diagnosis and treatment, and of all the factors that need to be considered. As a result, the following are the recommended points of interest to be considered in order for each individual to make a decision that is right for her or him according to the particular needs of each sufferer. Is this a reputable lab that would provide accurate results? Will the test look for TMA (odorous chemical) levels as well as metabolized TMAO (non-odorous chemical), and the ratio between them, which is the indicator of whether one has the genetic form of trimethylaminuria (TMAU)? If the test shows all three figures, it will indicate how much odorous TMA is in the system, how well or how poorly the metabolic enzyme is working to convert TMA to the non-odorous state, and with this information, calculations can be made to determine whether the patient could have Primary (genetic) and, depending on the lab used, Secondary (acquired) trimethylaminuria (TMAU) may also be indicated on test results. See Nigel Manning's interpretation of test results. Will my insurance or National Health Service cover 100% of the test cost, or would I have to pay for it myself. Insurance companies and National Health Services will only cover the cost of diagnostic tests when ordered by physicians. Only research laboratories that perform the TMAU Test for research purposes are allowed to do the TMAU Test without a physician referral. However, without a physician's orders, insurance and National Health Services will not cover the cost, leaving the burden of payment solely upon the patient. Will I need to pay various times during the testing process, including making the arrangements for the return shipment on dry ice where applicable? If so, what would the total cost be from my first payment to my last shipping payment? How long will it take for me to receive my results from the moment I first pay for my test? To some sufferers, cost is of the determining factor, while to others, obtaining faster results is the most important, and then there are sufferers whose primary concern is to streamline and simplify the testing process with most of the work being done by the provider. Since there are sufferers around the world that have different needs and preferences, there is a page in this blog listing many labs around the world, and sufferers are encouraged to email these labs to ask any and all of the above-mentioned questions about their test process. Please note that this list was created almost two years ago, and some information may be outdated, and for this reason, sufferers are encouraged to email the labs. 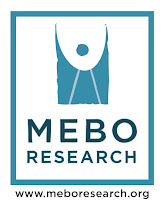 We ask our community of sufferers to please point out to MEBO Research at test@meboresearch.com any information that has changed, so that it may be updated on this list for others to benefit from. We hope that information on this page is of assistance to sufferers in making an informed decision. It has been MEBO's goal to develop a seamless test method that is very user-friendly, safe, and very accurate, while keeping cost down to a bare minimum. This has been accomplished with months of testing various sample tubes under a range of temperature and pressure conditions, simulating shipping in winter and summer, and flight conditions, to ensure that TMA does not escape from the tubes under these conditions. This study was conducted using simulator instruments in the lab as well as in the field shipping samples from the lab and back on transoceanic and transcontinental flights. By comparing the results before and after shipping, and comparing them with a control group, it was determined that shipping under these conditions for no more than 2 or 3 days. In the end, a test process was designed not requiring the sufferer to ship the sample in ice, as long s shipping is done in two to three days time. In a coordinated effort, MEBO Research negotiated shipping rates with UPS and FedEx to ensure that shipping could be arranged to any part of the world, and especially to those countries where sufferers have never had the hope of ever being able to do this test. Another way to keep cost down was for MEBO Research to offer volunteer work in performing all the administrative work for this program, including accepting applications, sending invoices, receiving payments, creating shipping labels and Commercial Invoices for U.S. domestic and international shipments, as well as the return shipping labels and Commercial Invoices. In this manner, the cost of the test is only $150, and the only other additional cost is round trip shipping cost charged by UPS. MEBO Research ships the kit to the sufferer with easy to follow instructions, return shipping label and Pak, so that all the sufferer has to do is collect the sample, freeze it, put it in the box and Pak, and send it via UPS. No additional cost or steps in this testing process. 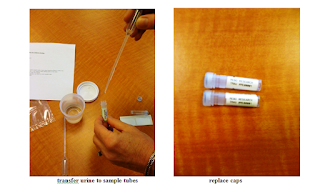 Test results include your figures for TMA, TMAO, and TMA/TMAO Ratio levels in urine sample. 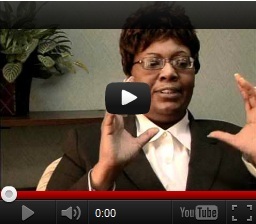 The testing is done by the same method originally developed at the Cleveland Clinic. It provides Normal Reference Range for Liquid Chromatography. Comments are provided stating whether your results are indicative of Primary TMAU, Secondary TMAU, or Negative for TMAU. The following two pages of this report include an introduction to TMAU, and explanation of Primary and Secondary TMAU, and the commonly accepted 'Odor Management Protocol,' as noted in the NCBI Bookshelf, publication, 'Trimethylaminuria,' written by MEBO's Scientific Advisor, Dr. Elizabeth A Shephard (See all Dr. Shephard's posts, powerpoints, and webinar created for MEBO's blog) and Dr. Ian Phillips. This website publication is a service of the National Library of Medicine, National Institutes of Health, updated 2011. The last page of your Results Report is a list of References on publications related to TMAU that your physician might find interesting. Normally, the test process lasts 2 to 3 months, from the time the sample is sent to MEBO to the time MEBO emails your Results Report to you to show your doctor. This wait-time estimation is based on the past 6 months of testing involving 94 tests purchased. Any test trial runs done before June 2012, cannot be considered because it is not the program being offered, but rather the developmental stages of the program. We are currently working on Batch #4, and began Batch #1 in June 2012. However, if a sufferer finds a program that would give them results faster, while costing them over $100 to $150 or more than MEBO’s rate, and the sufferer believes that perhaps getting the results a few weeks earlier will make that much difference for the price, then by all means, they should go for it. Each person is the best judge of what he or she needs. NOTE: I have received 2 additional Requisition Forms and one purchase after this report was written, so it is not completely updated. All TMAU test programs using the instruments, such as Gas Chromatography, Liquid Chromatography, Mass Spectrometry, and Nuclear Magnetic Resonance (NMR) instruments, discussed in Dr. Richard Mackay’s webinar, sponsored by RareConnect this past Sunday, December 2nd, are equally as accurate, as he pointed out in his powerpoint presentation. MEBO has received 9 Requisition Forms and payment for 3 kits in only the first 8 days of December. Based on what we’ve seen these past three months, it may take 8 to 12 weeks to receive your results depending on the time I receive your payment while collecting 20 samples for your batch. This month is the Christmas and New Years holiday, so people might not be purchasing kits when spending money on their holidays. Having said that, to date, MEBO has received 9 Requisition Forms and payment for 3 kits, in only the first 8 days of December. WE currently have 6 samples in the freezer, and need 14 more to complete the 4th Batch of 20 or more samples to send to the lab. Updated Batch information is found in the centerbar of this blog under the requisition Form. The more we get, the faster we ship batches to the lab, and the faster the results come back.